Cyclists started to use tandem bicycles as pacers in the late 19th century. There could be as many as five riders on the pacing machine. 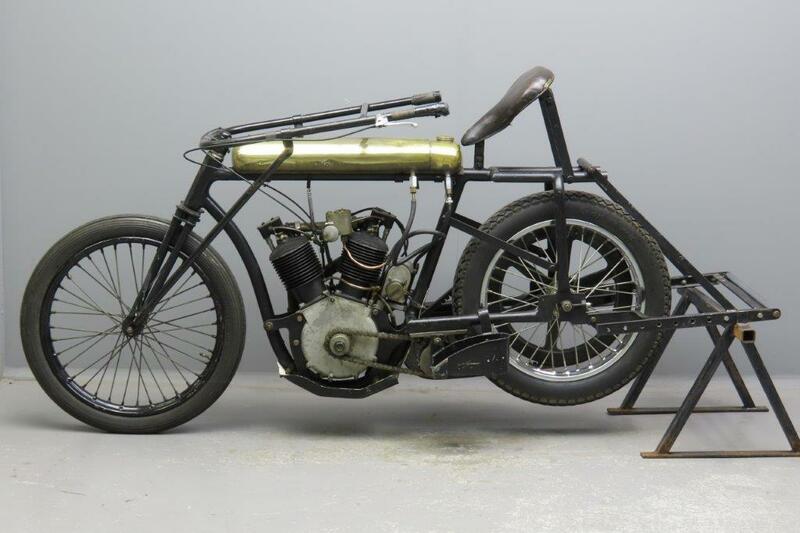 A south London rider, J. W. Stocks, set British record of 32 miles 1,086 yards (52.492 km) in an hour behind a Dunlop quintuplet on 27 September 1897. The pacing tandems were ridden by professionals and each competitor had six to eight pacing teams for races between 50 and 100 miles (80 and 160 km). Speeds rose when engines were added to pacing tandems and motor pace racing developed into a glamourous but dangerous spectacle. In the early years riders wore neither helmets nor gloves. Despite having all three, the famous American cyclist and pacer Bobby Walthour (1878-1949), who raced in Europe for many years, collected an impressive (or dismaying) inventory of injuries over his career: 28 fractures of the right collarbone, 18 of the left, 32 broken ribs, and 60 stitches to his face and head. Once, according to family history, he was given up for dead in Paris and taken to a morgue, where he regained consciousness on the slab. 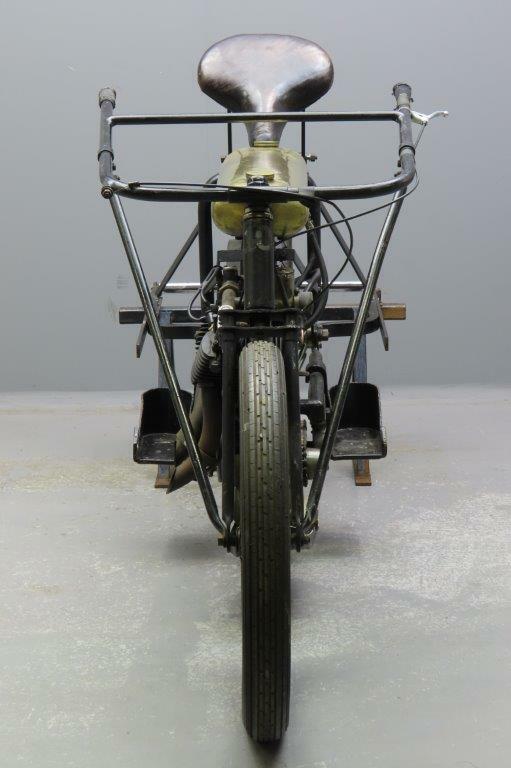 The pacer stands or sits upright to offer a maximum windbreak, and the handlebars are extended to facilitate the stance, in a standardized leather suit that allows for the same slipstream effect for any rider. Speeds of 100 km/h (62 mph) can be reached; the average is between 60–70 km/h. 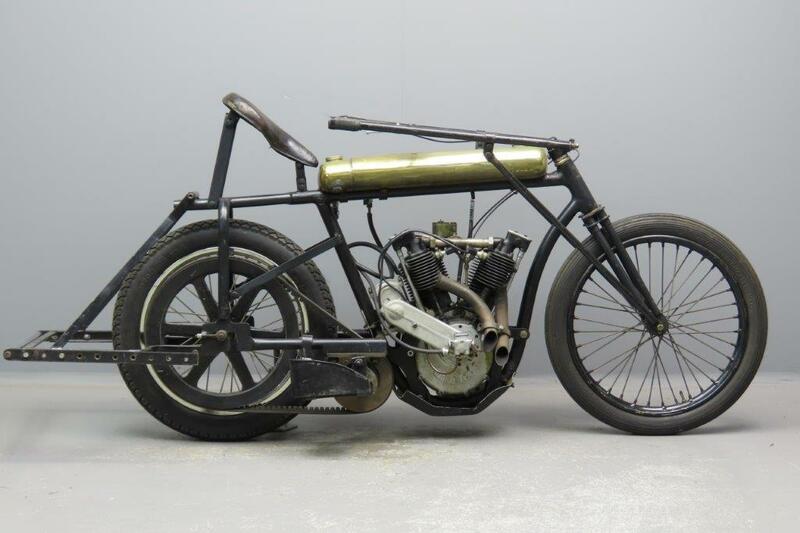 From the end of the 19th century, this type of motorcycle was also used in the cycling world in record-breaking attempts for speed. 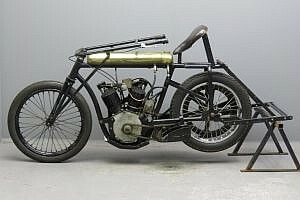 On November 1st , 1925, Jean Brunier, a French cyclist, set a record speed of 120.958 km/h, 75.598 mph, at the Linas-Montlhéry motor-racing track, using a motorcycle driven by Léon Vauthier. The pacers were well-maintained and lasted many years. 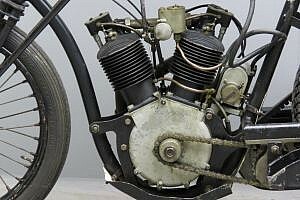 Some were constructed from various motorcycle parts, but others came from factories that built small batches of these machines. 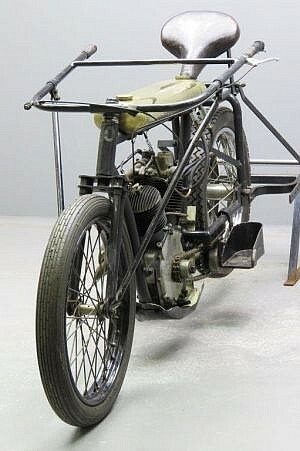 The machine we offer here is part of a series of 32 that was built in 1924 by the Motosacoche factory in Geneva. With its 1000cc engine it is relatively light; lighter pacers like this one were used at the wooden tracks, the heavier machines with engines of more than 2000 cc were mostly employed at concrete tracks. 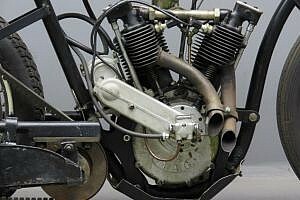 The 8HP MAG engines had bore x stroke dimensions of 82×94 mm and were available from 1914-1932. This impressive machine has been in use at the Westfalenhallen in Dortmund, Germany, where speeds up to 80 km were common. The controls consist of a throttle that can be delicately dosed and a valve lifter. 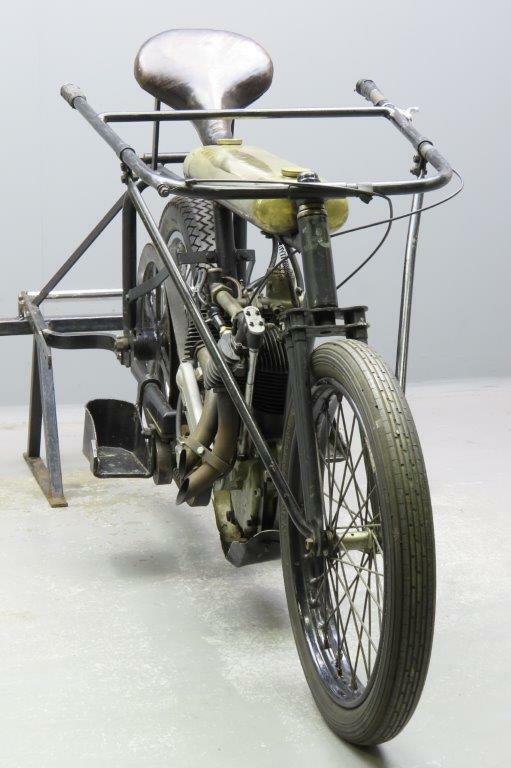 Starting was effected by getting the machine high up the track and then pushing it downwards with valves lifted. This gentle giant is in excellent condition. To see a machine like this on the go at the Westfalenhallen in 1956, search on the internet for “Neue Deutsche Wochenschau 352/1956 “.